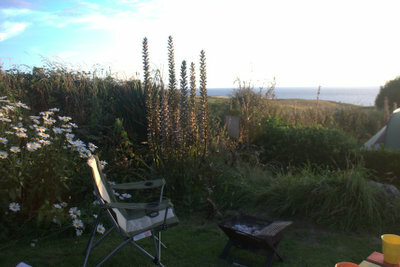 Where: Henry’s, The Lizard, West Cornwall. 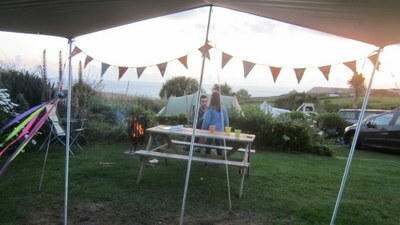 Campfires: Yes, in braziers you can hire. £7.50 per evening including logs and kindling. NB: No good for cooking on though. 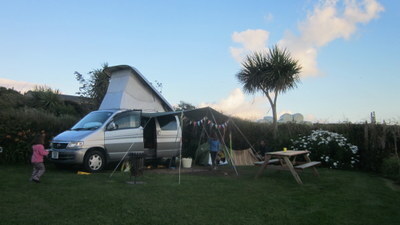 Types of camping: Mostly tents and campervans but they do accept motor homes and caravans, if they can fit it in a pitch. Facilities: One recently refurbished shower and toilet block and a couple of older blocks. All unisex. Washing machine and dryer. Games room with pool table and table football (and chicken poo and eggs!). Shop selling cider and various basics. The Review: Henry’s is a well regarded site and I had been excited that we had managed to get a booking. 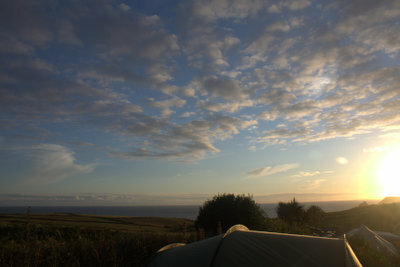 Britain’s most southerly campsite, I love chalking up those kind of things! However, as we approached the site my familiar ‘new site’ trepidation returned. Firstly, it was as little bit tucked away, so I had to ask someone the way. It is in fact very close to the centre of The Lizard, one more sign post would have been handy though. Then, when I went to register with reception I was told that someone had just mistakenly pitched in the pitch allocated to us. However, I am pleased to say that the situation was very quickly remedied and we were shown personally to our pitch which was a good size and had a fantastic view of the surrounding countryside and yey! the sea! From this point on I can find little to criticise about Henry’s. Usually I object to being assigned a ‘pitch’ however, in this case the design of the campsite is such that each ‘pitch is really a little garden. Some are very enclosed and hidden away other are more open but still with a private feel. The campsite is not huge and the pitches are often pretty close together, but because of sensitive design with beautiful stone walls filled with wild plants, hedging, flower beds and rustic fencing everyone has a good sense of privacy. Most, but not all, have a sea view. 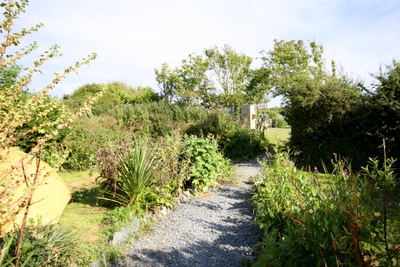 Apart from the fantastic views over the sea and the stunning sunsets, the best thing about this campsite is the array of things to discover, a beautiful little bridge leads to a small ‘farm’ corner with ducks, chickens, pigs and alpacas. There is a phenomenal covered communal fire pit, little wooden kids playhouses, a duck pond, endless little paths and secret pitches. It really is fun to explore! I took lots of pictures and I think the best way to illustrate the campsite is to show you them! Our pitch, complete with our very own palm tree. View from inside the van! A washing up area. 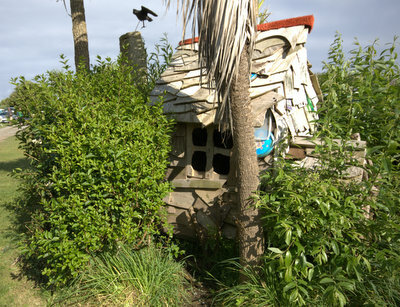 Cute but ramshackle. More secret pathways and pitches. 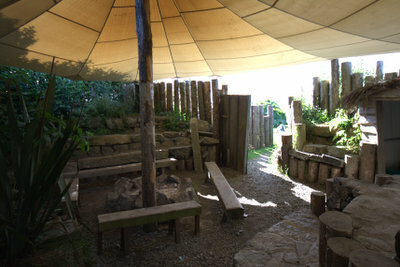 Awesome communal firepit, although we didn’t actually use it. Time for a glass of wine I think. If I had to level one criticism of Henry’s it is that some of the facilities are a little ramshackle and I hate it when you need to have a load of 20ps for a shower, it’s just inconvenient. The ramshackleness is just part of the character, but if very clean up to date facilities are your thing you might have an issue with some of these. Try South Penquite Farm instead! 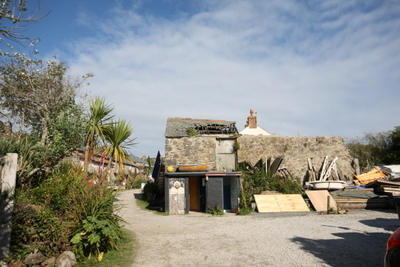 Within the village of The Lizard (which is a very easy 2 minute walk) there are plenty of amenities including a grocery shop, a post office, beach equipment shops, a butchers, a fish and chip shop,cafes, a pub and a hotel. The day we arrived there was a beer festival on at the pub, locals were out in force singing Cornish songs and enjoying the beer. The beaches in this part of Cornwall are fabulous. Kynance Cove is well known but don’t miss out because you think its over hyped. Honestly, it is gorgeous and there is a lovely cafe. 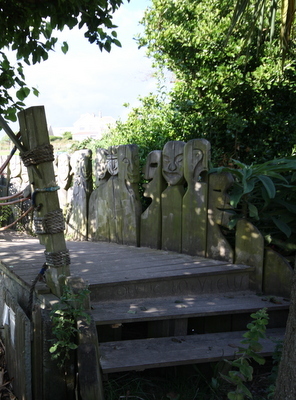 There is a bit of a walk down to the beach, choose the steep step way or slightly longer sloped way (better for pushchairs). Your reward is an amazing cove full of stone stacks, fantastic sandcastle making sand, enough waves to body board (but very few surfers when we were there), beautiful azure blue water and lots of happy people who look like they can’t quite believe their luck. It does get quite busy, but really don’t let this put you off you will be able to find a decent spot. We also had a lovely peaceful afternoon at Gunwalloe (Church) Cove. I’m not sure if it’s because the weather was a bit iffy but it was the quietest beach we went to. It seemed like a good surf beach, there was a surf school and a small shop selling hot drinks and beach tat. My daughter had a great time building a mini rill to divert the stream that flows over the beach. 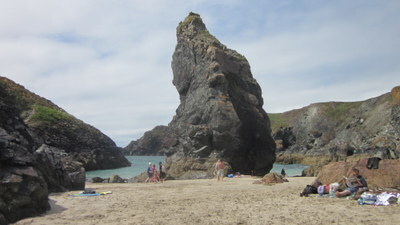 Both Gunwalloe and Kynance Cove, have NT carparks. I would definitely recommend getting yourself NT membership for a trip to Cornwall. It seems like they own half the county! This barely scratches the surface of the beaches you can find in the area. 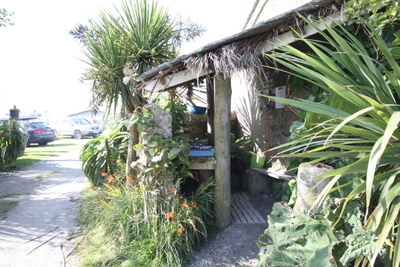 Next time, I go to Cornwall I would love to return to Henry’s and explore the beaches and the surrounding area more. Do you know some great beaches around this area? Go on let us in on the secret! Whilst here we also visited the Minack Theatre. Even though the weather was a bit dodgy we still really enjoyed it. We watched a kids show called ‘The Sea Show’ by Squashbox Theatre. He was very good, the kids were enthralled and the adults were roaring with laughter too. The location is of course totally unique and fantastic. Do book to see a show though, I think that is the best way to experience the magic of the place. And definitely book in advance it was totally sold out when we went! Henry’s is a very popular site so if you can’ get in here but want to camp on the Lizard peninsular I would suggest trying Wild Camping. They allow campfires and when we stopped in the check it out the farmer was very friendly and the large fields where almost empty! No views though. What a wonderful review: it made me want to get in the van and shoot down the A303….the sun renders Cornwall irresistible. Thanks. 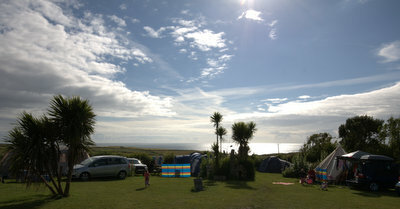 I agree the sun is a magical ingredient for Cornwall! We did have one day at Henry’s full of fog and drizzle, very frustating knowing that great view is there but you can’t see it! Looks like you had a lovely time. We visited Kynance Cove last summer when we were staying in Falmouth. The waves were quite wild and kids loved running in and out of the sea as well as climbing on all the big rocks scattered around the beach. It really is very beautiful, I have a photo we took from the cliff path of the beach as my computer wall paper.